Dental Patients suffering from anxiety at the mere thought of sitting in the dentist’s chair can rest easy comfortably during a dental appointment with Sedation Dentistry from Dr. Nugent. Oral sedation allows Dr. Nugent to relieve a patient’s anxiety and fear with small pills that are taken in the office prior to the dental procedure. This sedation method does not require tubes or needles. The procedure does not begin until the patient is comfortable and relaxed. Once the patient is feeling relaxed and sleepy Dr. Nugent will administer Nitrous Oxide further relax the patient. Most patients report they were “sleeping” or in a “dream like state”. Patients have amnesia of the procedure. Dr. Nugent and team carefully monitor the patient’s heart rate, blood oxygen levels, blood pressure, and breathing. With this sedation the patient must have someone to drive them home. Fear and anxiety of going to the dentist is common. Whether the fear arose from trauma as a child, painful procedures as an adult, or false stereotypes perpetuated by TV, Dr. Nugent can help you get the dentistry you need comfortably with Sedation Dentistry. Dr. Nugent provides sedation dentistry for his Pasadena, Texas patients and patients from the surrounding cities. Let sedation dentistry eliminate the stress and anxiety associated with dentistry. With different dental sedation options, there is nothing to fear about going to the dentist again. It Dr. Nugent’s goal to make your experience as comfortable as possible. Call our office today at 713-941-8261 to discover how sedation dentistry can change your life. Dr. Nugent’s office is located at 3421 Burke Rd Ste A, Pasadena, Texas 77504. You don’t have to be scared, Dr. Nugent can help you. 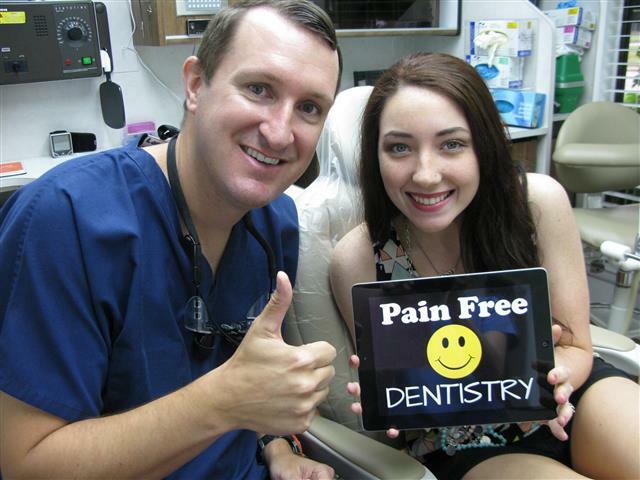 We see Deer Park Texas residents to help them overcome their dental fear.